You are here: Home / Welcome to St. Paul’s / New to St. Paul’s? Thank you for visiting St. Paul’s web site. Click on the links below to learn more. Worship is central to our life together. God’s Word addresses us today through the words of scripture, sermon and songs. “In, through, with and under” a bit of bread and sip of wine God feeds us and brings us into a life together in Christ. Our worship is lively, with well done music and a widening repertoire. We provide a prayer station during Holy Communion for you to bring your joys and sorrows and other petitions to someone who will pray with you. We use Evangelical Lutheran Worship as a core resource. People who ‘dress up’ and those who come in casual clothing. People who come from a variety of denominations and religious backgrounds. Some people come without any church affiliation but are searching for meaning in their lives. You can expect to be welcomed. 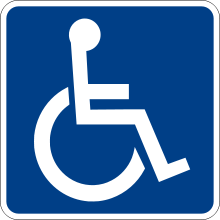 Wheel Chair Accessibility – The main entrance to our church allows easy access for people with walkers or wheelchairs. Provisions have been made for wheel chair spaces throughout the Sanctuary. Assistive Listening Devices – Portable devices with earphones are available from our ushers for the benefit of folk who have difficulty hearing. Accessible Print – Large print worship materials are available at our church. Just ask an usher. Coffee, tea and light refreshments are served in between the two Sunday worship services in Fellowship Hall. Faith Connections (classes for children, youth and adults) is offered from 9:15 – 10:15 AM on Sunday mornings from September through May. Please visit the Learn link for more information. There is ample parking at both the church and school entrances. For overflow, use Park and Ride lot next to the church entrance. Click on this link for directions. Let us know how we can help you. St. Paul’s Welcome Team members are ready to talk with you. Feel free to call or email.